With food and beverage service for all occasions, Club Muroc is Edwards AFB premier dining destination. Specializing in community events Club Muroc features restaurant dining, meeting rooms, both an officers and enlisted lounge and poolside seating. The award winning staff strives to serve every meal with uncompromising customer service. In addition to regular dining and lounge offerings, banquet and catering services are available in the many meeting rooms at Club Muroc. The Club is proud to support Military tradition with special awards and ceremony functions. AF clubs has teamed with memberplanet to design a new club member portal. On the portal, members will pay dues and find out about local events. Club members can also choose to have information emailed directly to them. 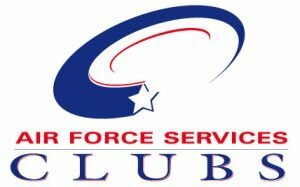 With the new club portal, Air Force clubs is eliminating the current membership credit card requirement; giving members freedom of choice for dues payment. Dues payments are scheduled for the 15th of each month. When club members visit the portal they simply follow the prompts to update their information and input their preferred payment method. Dues payments will continue to charge each month. Access to the portal can be found at www.myairforcelife.com. Enjoy a 16″ pizza made with fresh dough for dine-in, carryout or delivery. Make sure to try our delicious Chicken Buffalo Pizza for only $17! For more options and to place your order, call 275-CLUB. Happy Birthday from Club Muroc! Stop by Club Muroc during your birthday month and we’ll give you a coupon for a free meal! Offer available to Edward’s Club members only.